It was a simple picture of a little girl playing on the beach, but it opened one mum up to a nightmarish barrage of criticism. The innocent photograph showed the child – named Winter – walking across the sand without her bathing suit on. 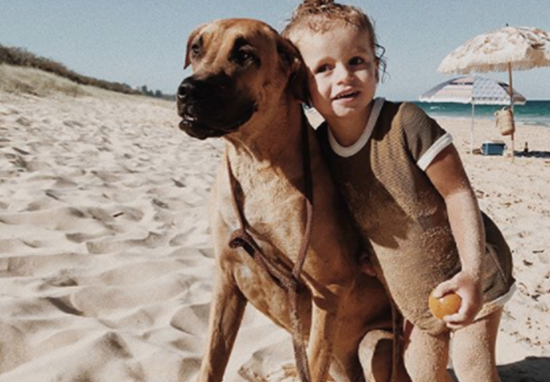 Like many modern parents, proud mum Jordyn Jones often shares pictures of her adorable young children Winter and Wilde through her Instagram page. And a day by the seaside is always a perfect opportunity to capture some happy family moments. However, Jordyn could not have been prepared for the nasty and uninformed comments she received regarding the colour of her daughter’s skin. Where you will find us these summer holidays ? Also you can get 25% off these kinis and the rest of @june.kids store before Sunday midnight ? It’s disgusting to see how dark your daughters skin is. Have you heard of suncream? How about you start using it before your kid looks 40 at four. Horrible mother. The commenters had taken offence at Winter’s natural tan, wrongly presuming she had been out in the sun without any protection. 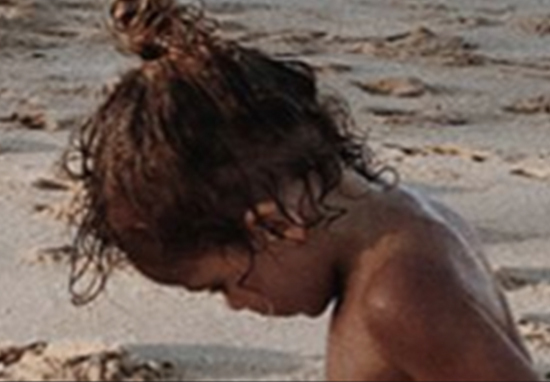 However, the family have Aboriginal heritage and so their skin is naturally tanned despite using sunscreen. A salty dip in the ocean followed by icecream at the farm. Take me back ??? Woke up this morning to see my post had been removed from Instagram because more then a few people had reported it. I am disgusted at the thought that people who follow me Condon that ladies bullying and racist remarks. My child’s skin is beautiful, I take all necessary measures to ensure her skin is protected and I wake up every dam day striving to be the best mother possible. If you don’t like my posts or our skin colour offends you please just unfollow. I won’t post about last nights events again because I don’t want to be putting negative energy into the world but please realise I am a real person behind this account, I’m not a robot. I have feelings and emotions and even though I have thick skin when it comes to trolls, degrading comments made about my children are not on. Woke up this morning to see my post had been removed from Instagram because more then a few people had reported it. I am disgusted at the thought that people who follow me Condon that ladies bullying and racist remarks. My child’s skin is beautiful, I take all necessary measures to ensure her skin is protected and I wake up every dam day striving to be the best mother possible. If you don’t like my posts or our skin colour offends you please just unfollow. I won’t post about last nights events again because I don’t want to be putting negative energy into the world but please realise I am a real person behind this account, I’m not a robot. I have feelings and emotions and even though I have thick skin when it comes to trolls, degrading comments made about my children are not on Happy Tuesday all ? Many of Jordyn’s loyal followers were horrified by the treatment the loving mother had received, jumping to her defence. Sadly there are some moms who judge and don’t feel shameful in putting down moms and their babes. Take comfort in knowing you have a community of followers that love and support your posts! Wow jordy, just wow. Some people. You shouldn’t even have to justify yourself, these people never seem to understand that these photos are little glimpses, LITTLE, glimpses of our lives. I won’t stop posting the photos I do to please a minority. My daughters skin colour is nothing to be ashamed. The photos I post a captures of moments in our life. We live for the ocean and the summer days. I received so many uplifting messages it was so heartwarming. Walks to the beach for a quick evening dip. We are absolutely loving the extra light these summer nights are bringing. 4 more days until ry is on summer break and we can not wait ??? Hopefully the cruel trolls will think twice next time before jumping to hurtful conclusions.